We’re pleased to announce that the latest release of the Admin Console is now live. Details of the Prism Theme Editor are given in the release notice in the Prism blog. We’ve now added the ability to create a special ‘one-off’ rule, that will send a notification on a specified date, rather than running on a regular basis. 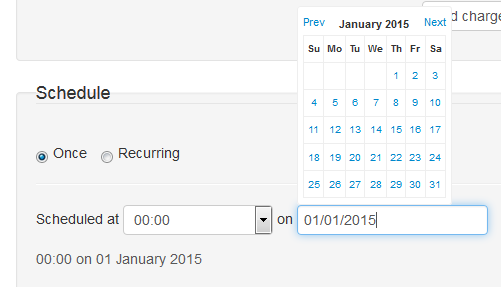 When adding the rule you now have the option to set the schedule to ‘Once’ or ‘Recurring’. 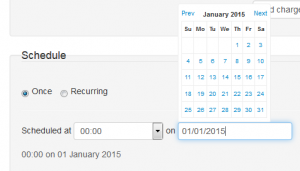 When ‘Once’ is selected you can specify a date and time. When adding a rule, you’ll now be prompted with a warning message to fill in certain required fields, rather than defaults being provided which could previously be accepted inadvertently. If you have a long list of inactive rules and are in the process of cleaning them up, confirming you’re deleting the intended rule is important. To that end we’ve now added the name of the rule you are about to delete to the modal dialogue that pops up asking for confirmation. We’ve had some feedback that selecting multiple parameter values when creating a rule can be a bit cumbersone, especially if you have a long list of values. We’ve now adopted a similar selection widget to that used in the Prism Facets section of the Admin Console to make this a bit easier. If you have any comments, questions or suggestions please get in touch. You can comment here on the Alto blog, on the Alto forum and Alto Ideas, or contact your Account Manager or the Prism team directly.